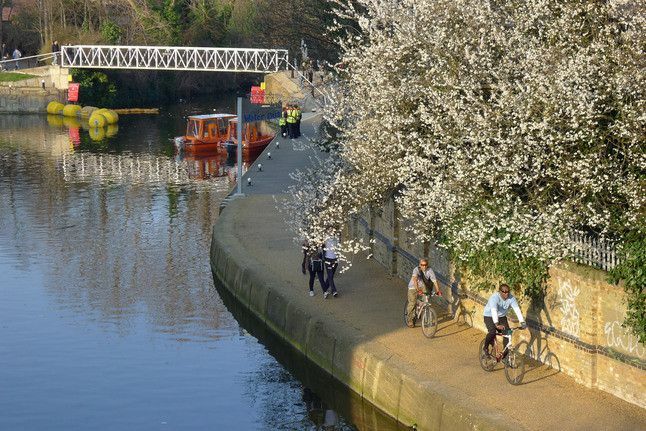 Join us for a guided tour of heritage exhibition Raw Materials: Textiles, followed by the chance to explore all the way up the River Lea, the waterway that inspired the exhibition, by bike. If you’re unsure of cycling on the road, you can bring your bike to the Gallery on the District Line (Bow Road) or the DLR (Bow Church). We will be walking our bikes to the River Lea (10 minutes from the Gallery) and cycling on the towpath. We will finish our cycle at Tottenham, from which you can cycle back or take your bike on mainline trains to Stratford or Liverpool Street stations.